Argon with Ar symbolhas atomic numberof 18 in Periodic Table. The element is in group 18 (noble gases). Hence, there is no combination of it naturally. Argon gas is available in the Earth’s atmosphere about 1%. Most of this amount of argon is argon -40, which is produced from the decay of potassium -40 in the atmosphere due to cosmos. In the world, argon -36 is much more abundant than argon -40. Because it is the product of nuclear starvation synthesisin supernovae. Argon has been taken from the Greek word lazy or inactive. The reason for this is the inertness of argon and its chemical inactivity. For industrial use, argon is separatedfrom liquid air by fractional distillation,. Argon is used to create live light. It is also used in weldingindustry, spectrophotometry and titanium manufacturing. The solubility of argon in water is approximately the same as oxygen. At any temperature, it is colorless, non-flammable and non-toxic. Argon does not react under normal conditions and does not form any stable chemical compounds at room temperature. In 2000, researchers from the University of Helsinki reported the first observation of the formation of a chemical compound by argon. In the study, the material of argon fluorohydride (HArF) was made which was stable at a temperature below 17 Kelvin. Based on theoretical calculations, it is predicted that some of the chemical compounds containing argon can be stable under normal conditions. But so far no method has been developed for the production of these compounds. Argon constitutes 0.934% vol. and 1.288% mass of Earth’s atmosphere. 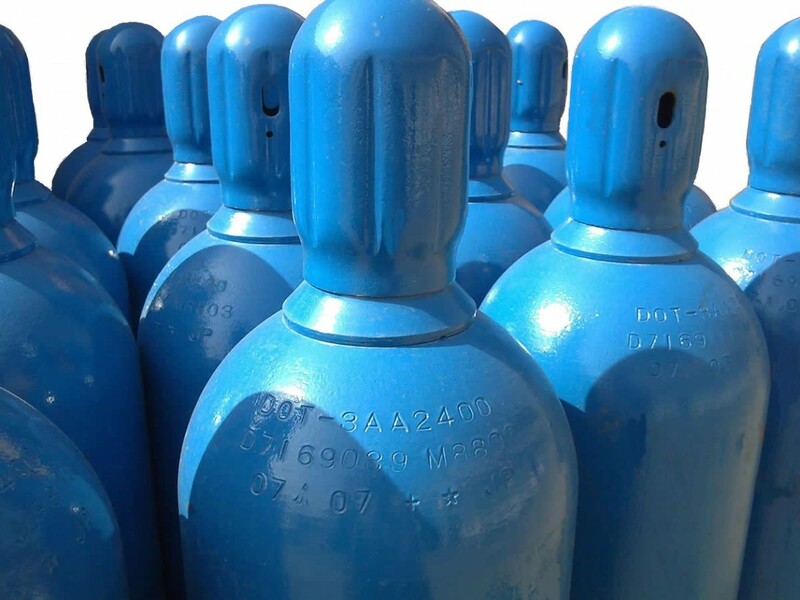 Therefore, in the industry, air is the raw material for the preparation of pure argon. Argon is usually separated by fractional distillation. This method is used to separate other gases in the air, such as nitrogen, oxygen, neon, krypton and xenon. The concentration of argon in the earth’s crust and seawater is 1. 2 and 0.45 parts per million. Henry Cavendish reported in 1785 the possibility of argon availability in the air. But for the first time, John Straight and William Ramsey, in 1894, succeeded to separate argon from the air. In this experiment, they separated all nitrogen, oxygen, carbon dioxide and water in the air and concluded that the nitrogen available in the air was 1.5% heavier than nitrogen produced from chemical compounds. The insignificant difference attracted their attention, and after a few months, they concluded that there was another gas in the air mixed with nitrogen. Earlier in 1882, the effect of argon was observed in two separate studies by Nawal and Hartley. Both people saw new lines in the air absorption spectrum, but could not identify the constructive element of these lines. Argon was the first nobel gas to be identified. Argon has three stable isotopes, among which argon-40 (with a relative abundance of 99.6%) is the most abundant isotope. The long-lived isotope of potassium-40 with a half-life of 25 billion years by electron capture or positron emission decays to the stable isotope of argon -40 (with a probability of 11.2%) and by beta decay it changes to the stable isotope of calcium -40 (with probability 88.8 %). The researchers use these characteristics and ratios to determine the age of the rocks by the method of dating potassium and argon. The abundance of argon isotopes varies in different parts of the solar system. Argon -40 is the most abundant isotope in places like Earth, because potassium-40 is converted into argon-40 in rocks. But in argon produced in stellar nuclear synthesis, argon -36 (which is made in the alpha process) is the most abundant. Therefore, the relative abundance of Argon-36 in solar winds has been measured to be 84.6%. On other rocky planets like Mars and Mercury, argon -40 has a lot more abundance than argon-36. The capacity of the last electrode layer of argon is complete. Therefore, argon is highly stable and resists the formation of chemical bonding. Chemists, until the mid-20th century, believed that noble gases, like argon, did not have any chemical composition. But after that, the chemical compounds were made by heavier noble gases. In the year 2000, the first chemical compound of argon was produced by researchers at the University of Helsinki by reflecting ultraviolet light into frozen argon containing a small amount of hydrogen fluoride with sodium iodide, argon fluorohydride was formed. It is stable at the temperature of 40 K.